Measuring cloud performance never proves easy for enterprises. This introduces problems in areas like cost or resource management, as well as security. 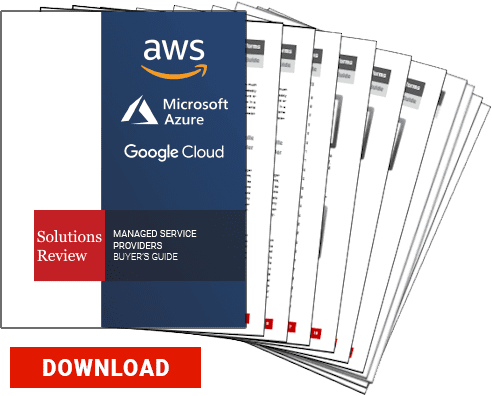 Monitoring company, ThousandEyes, performed a comprehensive study of cloud network performance and connectivity architecture for AWS, Azure, and GCP. Three key findings stood out to the company, AWS is the most internet dependent, regional performance variations, and multi-cloud is ready. Data covering the issue of connectivity from multiple perspectives has been limited. Information tends to be available in vendor service catalogs and pricing schedules, as well as IT professional surveys. Unfortunately, this data doesn’t offer information on key metrics that enterprises look for in their cloud infrastructure. Previous attempts focused on user performance in cloud regions on a single vendor basis. Thus, only approximations were possible. ThousandEyes chose to look at network performance and connectivity architecture on a comprehensive basis. They measured cloud connectivity from 27 global cities to the 55 AWS, Azure, and GCP regions. We strongly encourage you to download the report for a deeper picture into this research. Perhaps the most interesting find, AWS’ network design relies heavily on the public internet. User traffic travels through the internet for most of its journey between user locations and AWS region. Azure and GCP ingest user traffic closer to the user’s location. Specifically, their networks utilize BGP Anycast routing. This method essentially advertises network addresses for all regions at every juncture point between their network and the public internet. So, user traffic routes to the nearest juncture point and then carried to the cloud provider’s backbone network. AWS only advertises network addresses for cloud regions on a localized basis to their cloud region data center locations. Thus, the internet has to rout use traffic away from AWS’ backbone network until it gets closer to the region. This doesn’t impact North American or European users so much, but Asian countries have dealt with this issue. Internet fiber routes are sparser and have inconsistent performance, so their AWS cloud doesn’t run as well. The research found AWS’ network performance is 30% worse than its competitors. Learn more about ThousandEyes in our free network monitoring buyer’s guide.